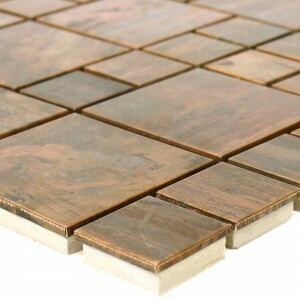 Metal copper mosaic tiles Myron reflect the daylight in a unique way and therefore give every room a noble ambience. The interplay of shadow and light works differently from every angle. 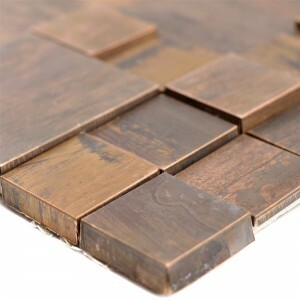 As kitchen tiles and bathroom tiles, they are the perfect complement for fittings and other furnishings. 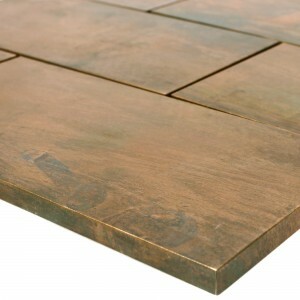 The mosaic tiles are coated with copper. 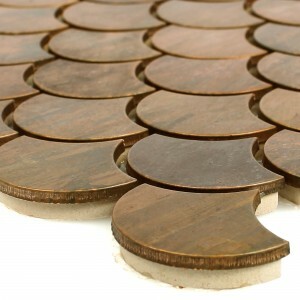 They are available in various shapes and, depending on the version, either with a glossy finish or with a matt finish. The strength of the different designs varies between 6 to 10 millimeters. This guarantees that the bathroom tiles will not be applied. 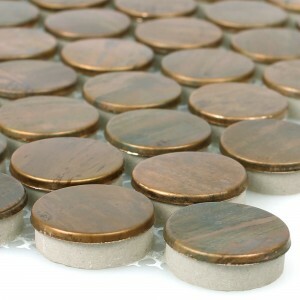 They can also be installed as kitchen tiles and mosaic in all other rooms as well. Copper mosaics are laid like conventional mosaics. 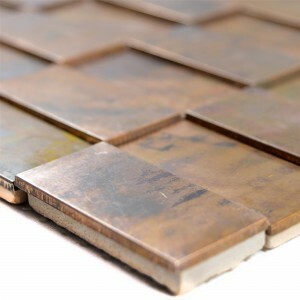 Metal Copper Mosaic Tiles Myron are quick and easy to maintain. 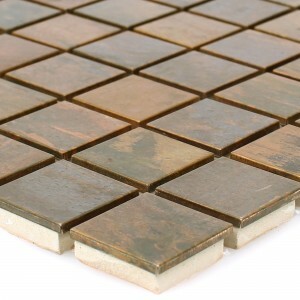 Mosaic tiles Myron are also suitable as floor and wall tiles and give any room a shiny ambience. Thanks to the metallic surface, attractive design accents can be set. 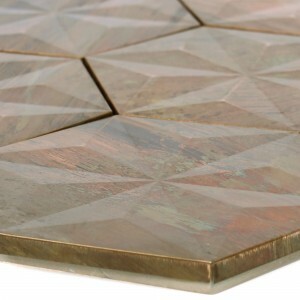 A copper mosaic is also perfect for combining with glass. This material mix looks very appealing. The color copper gives the room heat. In addition, the combination of metal mosaic tiles Myron with a glossy and matt surface can achieve attractive design effects. 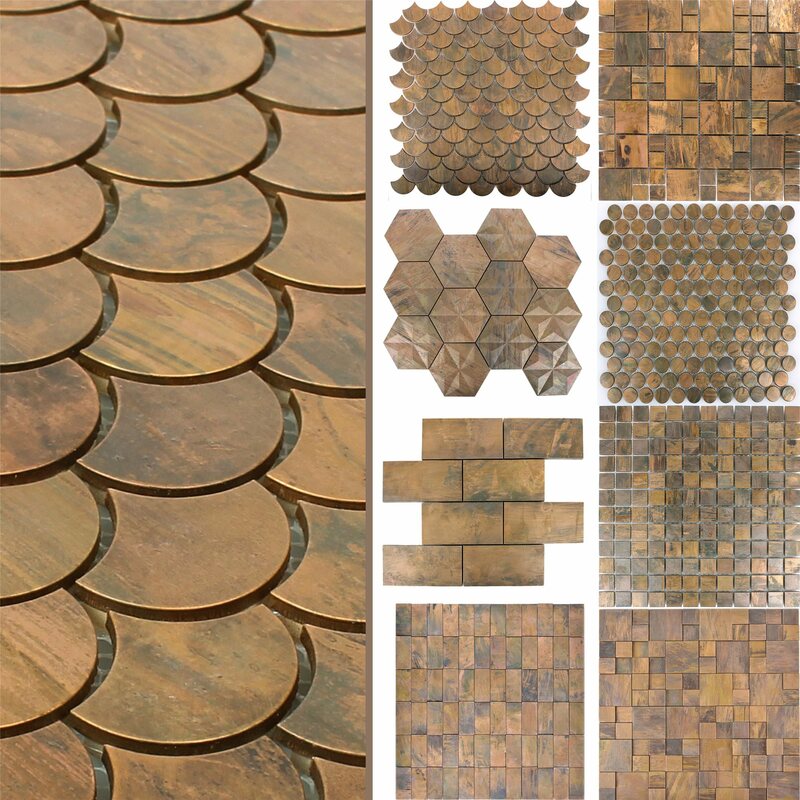 An exclusive living atmosphere can be created by combining the metal copper mosaic tiles Myron with a fluffy white carpet in the bedroom or living room.